Come join the Wolfscratch Team for an exciting year in building our fledgling nonprofit educational hub! We are looking for 1-2 interns/apprentices to assist the farm manager in all farm and non-profit operations at Wolfscratch Farm—the site of the new nonprofit, The Learning Gardens at Wolfscratch—for the 2016 growing season. This internship will allow you to strengthen your passion, build your resume, acquire skills, create great contacts, and empower yourself to delve deeper into your love of farming. Our focus is to train you to become a successful farmer for your family or community. 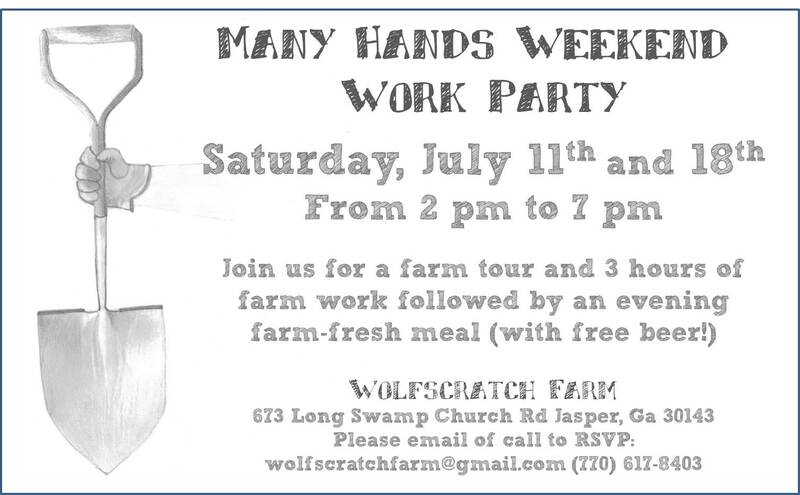 Please e-mail wolfscratchfarm@gmail.com with subject line “Internship” for an application. In a world where it is easy to disconnect with nature and with where our food comes from, we believe that it is vitally important for families to change the way they view food. What is on your plate is an important part of who you are, but the current food system is broken. Unsustainable and environmentally damaging practices of large scale agriculture are killing the earth and harming our bodies. The Learning Gardens at Wolfscratch is providing a really amazing space that empowers and enchants kids and their families to rebuild their connection with food, making it easier to make responsible decisions that will be better for both our environment and your health. Come join us at Wolfscratch Farm on September 26 to learn more while we enjoy some good food, good music, and fun! Want to learn more about sustainable farming? Kids are out of school, pools are open, ice cream shops are thriving — ah, the month of June. When I lived in the city, June meant iced coffee dates with friends, weekend trips to the lake, and bluegrass concerts at my favorite venues. 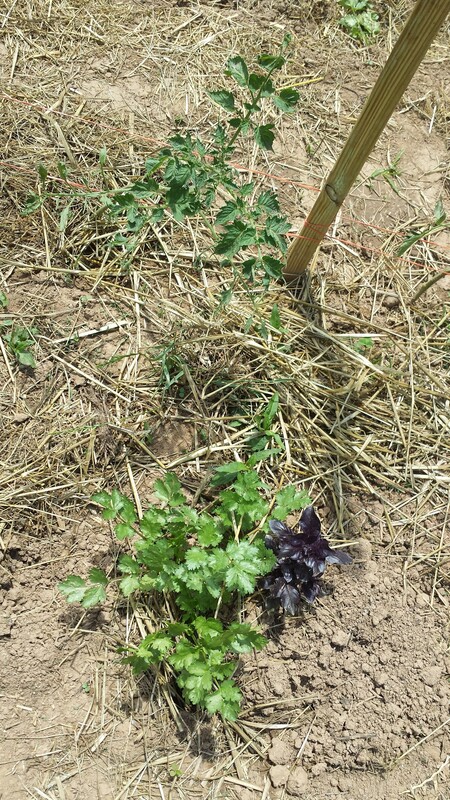 Living on a farm, I am learning that June is also a great month for productivity and new growth! Coffee dates are replaced by farm meetings over breakfast, lake trips have been trumped by farmers’ markets, and as far as bluegrass goes — well, there’s always time for a little string music, even if it’s playing from phone speakers while I’m washing and market-readying our crops. This is not to say that life here is any less enjoyable than life in the city — quite the contrary! Every day on the farm is packed with opportunity and adventure. This week, for example, we are hosting 6 children each morning and afternoon for Camp Wolfscratch. So far, we’ve discussed soil health, mushroom life cycles, and the importance of various other elements in our system. The kids have planted squash, played in the creek, tasted farm-fresh goodies, and witnessed animal life most of them never had before experienced. All that before 2 pm! Once the kiddos leave, the work day continues on the farm, with harvesting, pest patrol, market evaluation, weeding, planning, digging, and so much more. The farmers work well into the evening, often after dinner, until a good night’s sleep has been well-earned. The work is hard, in that it is physically demanding and mentally taxing. There’s not a lot of “time off”. We don’t have friends over for dinner regularly, and we rarely go to their houses either. No one is making enough money to buy a new car, build a hot tub on the porch, or install a state-of-the-art sound system throughout the house. This is not a place for anyone looking to turn over a quick buck or sit around and wait for something to happen. We are doers, shakers, and makers. That being said, every day, I wake up happy to be here. Something magical happens when you turn your focus away from the TV and toward the soil. A physiological connection exists between a tree and the child leaning against it. The plants and their farmers coexist in an integrated system, whose presence pervades every version of life on this planet. When my back feels sore from a morning of harvesting vegetables, or my hands have blisters from hoeing new crop rows, the pain sends a signal to my soul, which tells me I’ve labored to share my connection to Nature with others. The vegetables we grow are sold at markets and restaurants in our community. Everything that comes out of the ground here either nourishes members of our community directly, or it returns to the soil as compost and nourishes the new plants, which will in turn become nourishment for one of the above. Now, as gratifying as it may feel to know that I have contributed to the nourishment of my community, sore muscles are still sore, and blistered hands still sting. No amount of heartfelt gratitude will change the signals my aching body sends to my brain — and nor do I want it to. Pain in the body means healing is needed, and without enough rest to facilitate that healing, no farmer’s body will last for very long. So, the question arises, “How can I continue this work, and maintain a healthy body?” The way I understand things, there are a couple different options. We can build a team of hard-working Nature enthusiasts, and we can take turns laboring in different parts of the field. Maybe each farmer works one or two days in a row, and takes a day or a half-day off to rest. This way, not only do we all have time to rest and recuperate from the daily tasks, but we also have time to reflect on our work and prepare for the next job. This way requires an accumulation of folks with mostly agreed-upon priorities and never-ending clear communication. It is the choice made by many farms, all over the world, and will probably continue to exist everywhere. Another option is to build a system that can effectively take care of itself. This is the way of permaculture. Permaculture is a design system, which means it is the result of creative problem-solving methods that altogether increase the stability and regeneration of land. Traditional farming involves designating certain plots of land for certain crops, using machinery and tools to landscape a field into a crop factory. Many farmers find this method effective and fruitful (no pun intended…), and generations upon generations of landowners have seen success with such use of their land. However, since the 70s, the term Permaculture has arisen and begun spreading its seed (pun most certainly intended) throughout the world, and it [re]introduces folks to Nature-symbiotic methods of land management. 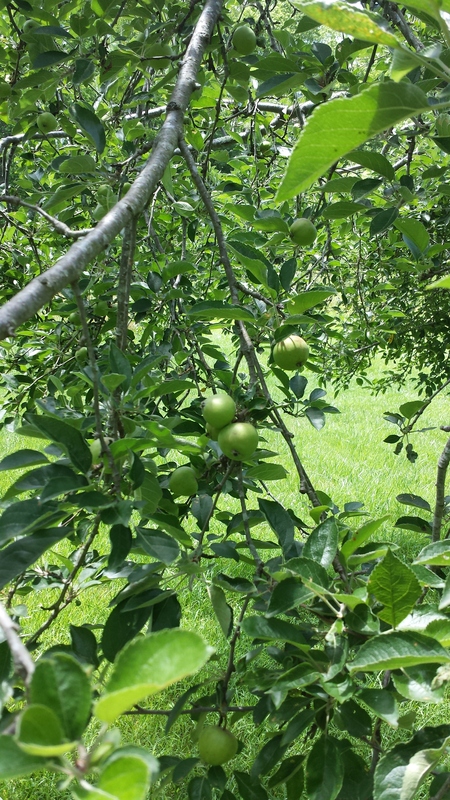 Permaculture does not just set forth food-growing plans; it is an all-encompassing lifestyle, with innovative ways to attain hot water without electricity, clean sewage and waste out of our systems while nourishing the soil, efficiently feed animals while simultaneously preparing the ground for crop growth, to name but a few concepts. These permaculture practices go beyond productivity, efficiency, and sustainability — they are regenerative. 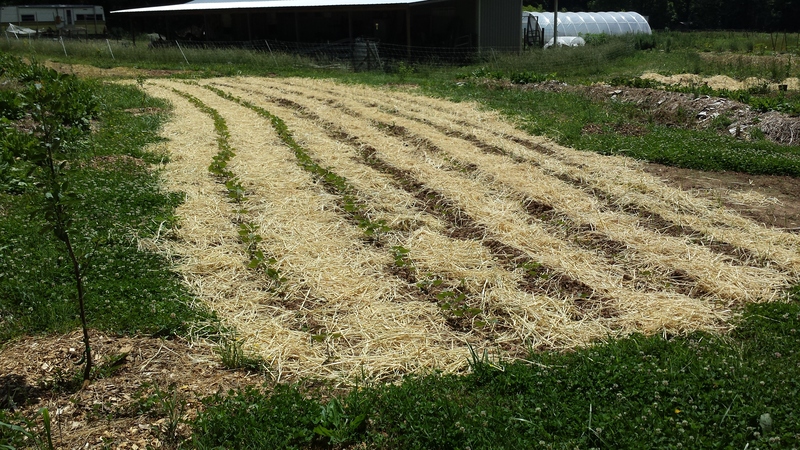 Traditional farming systems have proven productive, through repetitive planting, fertilizing, and harvesting methods. They are made more and more efficient by various worker schedules, climate and weather adaptations, and by use of stronger and bigger machinery. They might even be sustainable, in that the produce sells well enough to pay for the workers and equipment. However, eventually, the same plots where the same crops are sowed and reaped season after season, year after year, will start to grow plants that are nutrient-deficient, lacking in taste and color, and eventually the soil won’t allow for more growth. 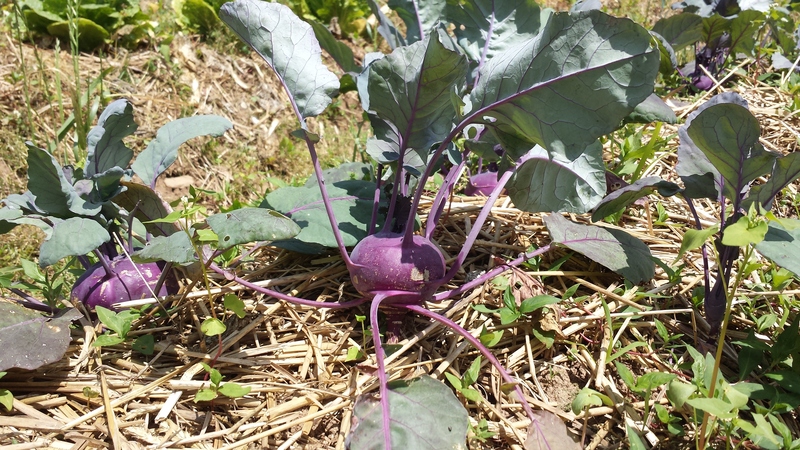 Unhealthy soil attracts all sorts of insect life, which is counteracted by copious pesticide application, which results in furthering the plants from healthy, natural content. This is why the regenerative results of permaculture practices are so crucial to longevity. Not only do they sustain themselves with less maintenance and interference from humans, but they regenerate the whole system involved, so they can continue to support healthy, happy life. 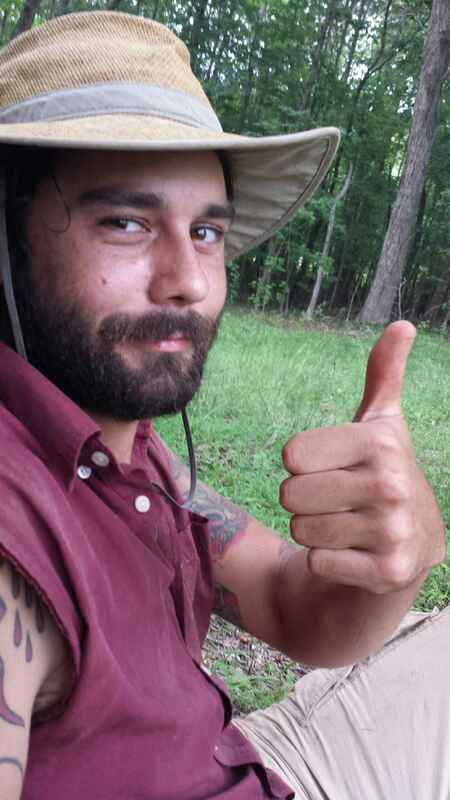 At Wolfscratch Farm, we are amidst installations and reconfigurations of the land, which are essentially converting the once-traditional farm space into a permaculture system. This is an incredibly educational experience for all involved, and we would love to share what we’re doing with our community, by means of workshops, informative blog posts and e-mails, and a few events we’re planning for the rest of the year. Sign up for our e-mail list to stay informed of our upcoming efforts! To sign up, send an e-mail to us at wolfscratchfarm@gmail.com , and feel free to include any questions you have, ideas you want to share, perhaps a way you want to be involved, or just simply let us know you want to be included in our e-mails. Our goal is to spread knowledge and empower ourselves and our community to take charge over our health and the way we live together and with the earth. 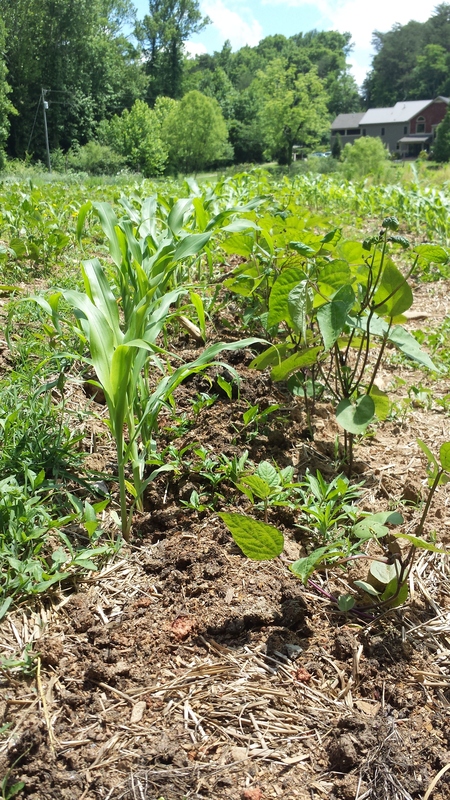 Anyone who has worked on a farm or edible garden has at least discussed the use of compost as soil supplementation and fertilization. Lots of folks save their banana peels, coffee grounds, and egg shells in a (hopefully covered) compost-designated bucket, and disperse the scraps throughout the plants in some form or another. And most of us remember learning about decomposition of organic material in biology or physical science in middle school. However, how many people really understand why we spread decomposed plant and animal matter around our growing areas? How do old food scraps help our new food sources thrive? For those who are confused, let’s define compost: compost, as a noun, refers to decayed or decomposed organic material (organic in the sense that it is natural, carbon-based, not that it has been certified by the USDA). Compost is known as a soil builder, healer, and cleaner. It is a builder, because it provides the soil with freshly-available nutrients that have been retrieved from deep down in the cellular structure of the compost itself. It heals the soil, in that many of those nutrients that reveal themselves once the organic material has decayed are missing from soil that has been used repeatedly over a period of time. Thus, the compost replenishes the soil with nutrients such as nitrogen, phosphorus, and potassium, as well as micronutrients, like manganese, copper, iron, and zinc! 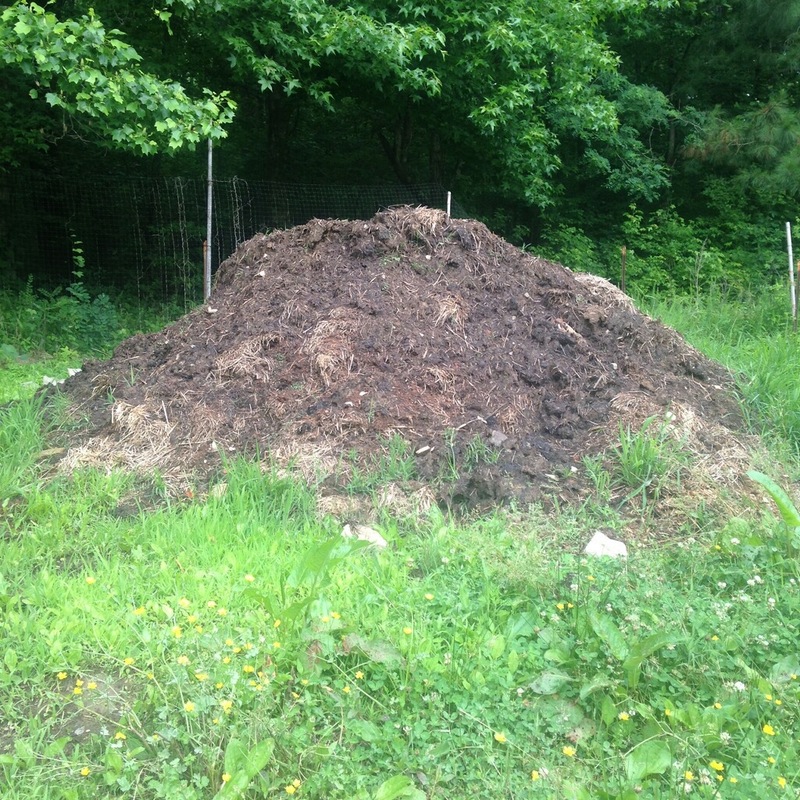 Lastly, compost is considered a soil cleaner, because the healthy bacteria and nutrients with which it provides the soil are (generally) stronger than whatever disease and/or unhealthy bacterial life occupy exhausted soil. Composting your garden or farm is a great way to recycle and reuse your resources (fruit and vegetable bits, egg shells, coffee grounds, seed and nut shells, etc. ), but there is in fact an even better way to maintain a healthy yard while sustainably dealing with food scraps. That is the way of compost tea. Compost tea is exactly what it sounds like — a compost-brewed liquid that is applied to soil via a spray device, rather than a shovel and wheelbarrow. For this reason alone, we can already see why such a concept is preferred by many. It saves backs and blisters alike! But beyond the immediate, physical benefits of the compost tea method, there are more reasons why farmers and gardeners are increasingly turning to compost tea over solid compost. Our experience, here at Wolfscratch, has shown that tomatoes treated with compost tea are growing stronger and more quickly than those with which we worked solid compost into the soil. 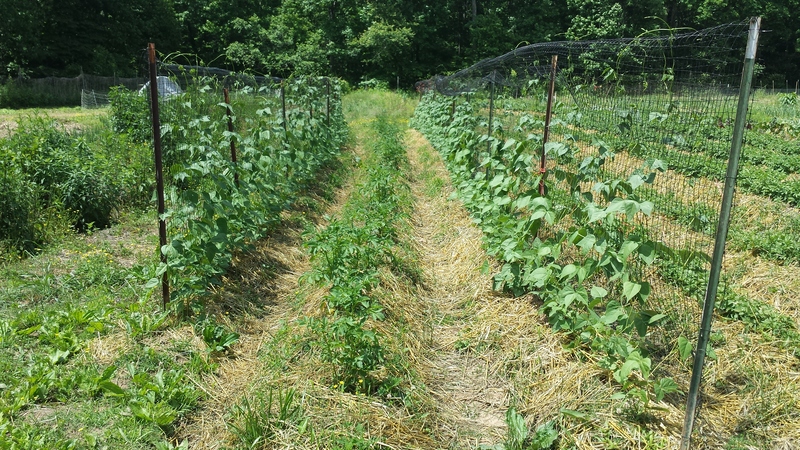 As a natural, permaculture farm, we do no spray our crops or soil with conventional herbicides, pesticides, and fungicides, in efforts to deliver the safest, cleanest, and purest produce we can! Our research and now, our experience, have shown that compost tea is an excellent natural pest- and disease-i-cide. Because compost tea is so rich in soil-nutritious components, the soil becomes so healthy, that diseases have no way to enter! Similarly, when we treat our bodies well and nourish our immune systems, disease has a much harder time settling into our bodies. Pests, namely insects which eat our delicious veggies, are actually diverted from our healthy crops! 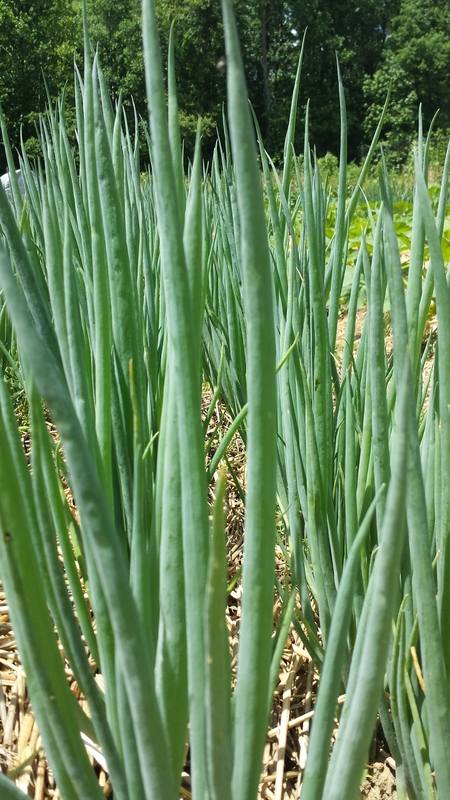 We’ve got a bunch of bunching onions! 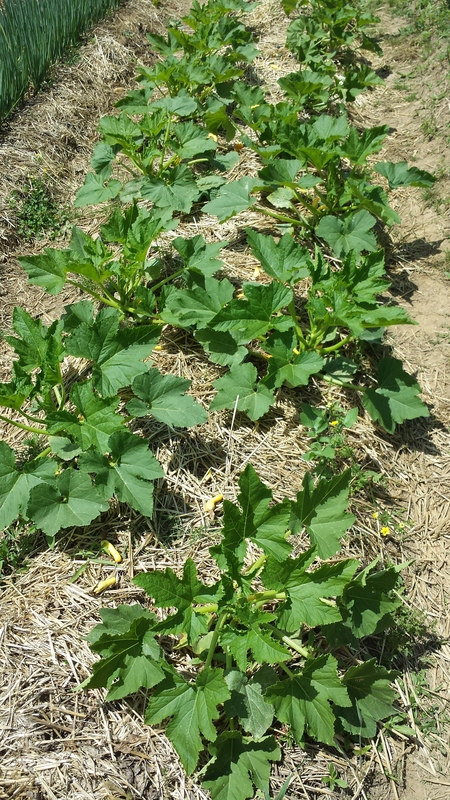 Squash plants are stretching out their leaves! 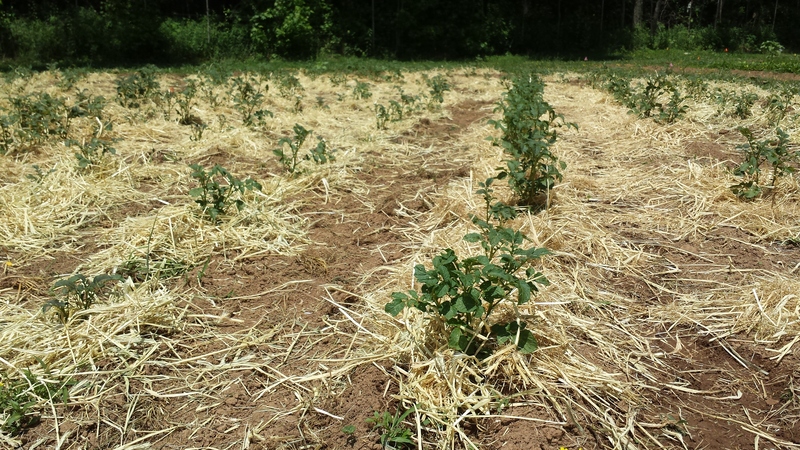 Peas grow up the fences on either side of our potatoes! 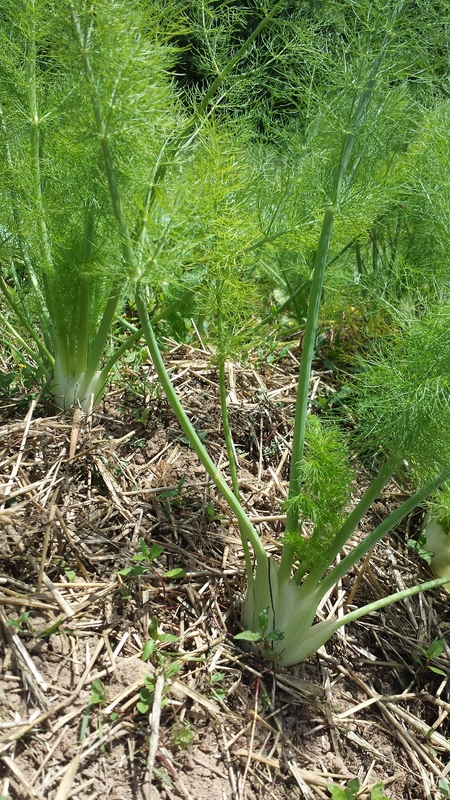 Bulbs and bulbs of fennel! 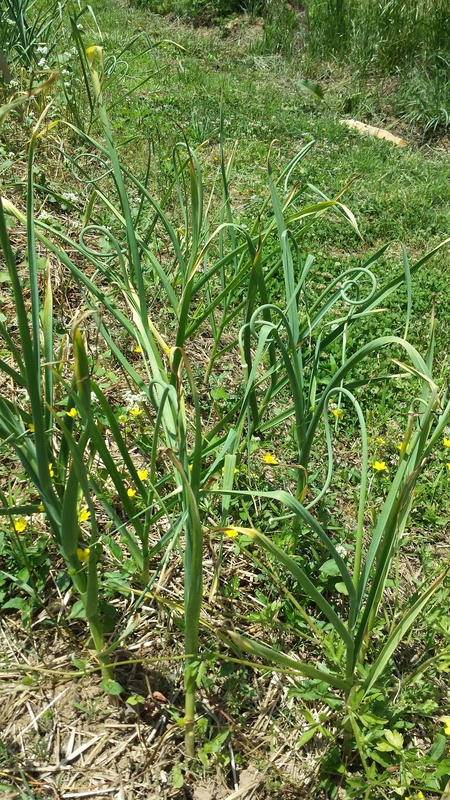 How crazy awesome does this garlic look? Cilantro, basil, and tomatoes — the best of companion plants! 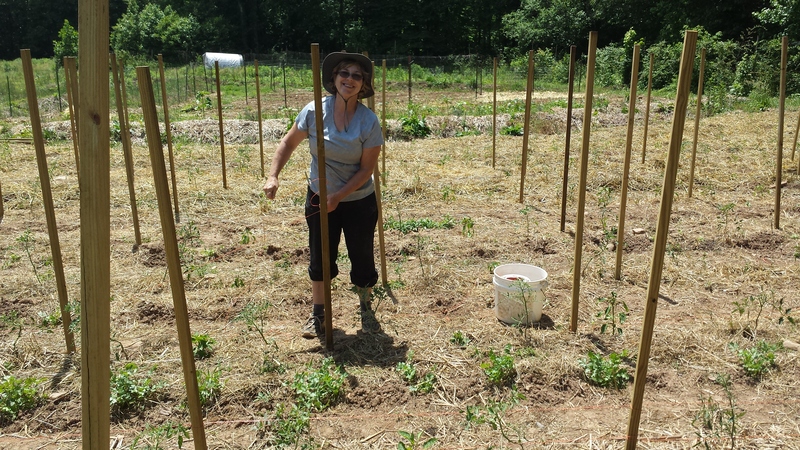 Colleen loves trellising those heirloom tomatoes! More and more potatoes… stay tuned! 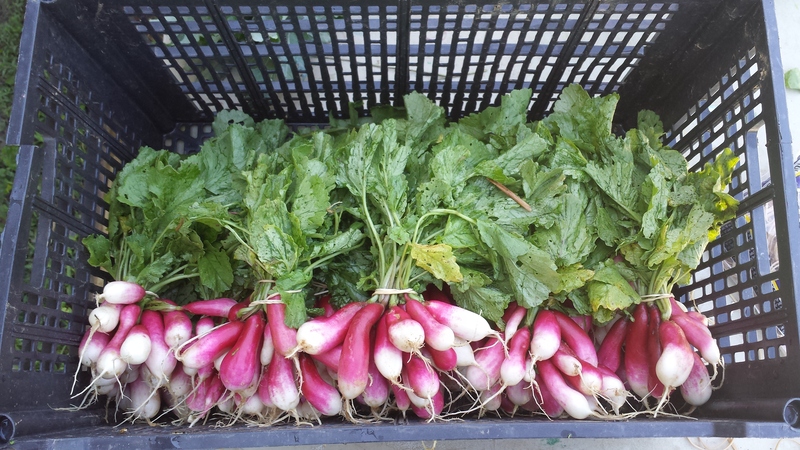 And of course, all the radishes you can enjoy! French breakfast and Easter egg varieties!